Kathryn Kenny with Joan Bowden, Mary Carey, Eileen Daly, D. J. Herda, Laura French, Betty Ren Wright and others. 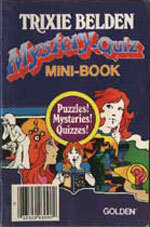 This book was a giveaway packed with numbers 24 and 25 to create interest in the new quiz books. 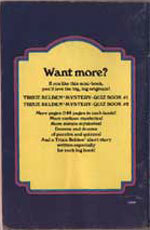 It contains activities from both the Mystery Quiz books, but does not contain a short story.